As distributed applications become more sophisticated, their implementation becomes more and more difficult. It is therefore important to study how to facilitate the implementation of efficient distributed applications. This thesis reviews the different classes of distributed languages and presents a new approach to develop efficient distributed programs using the Ada language. 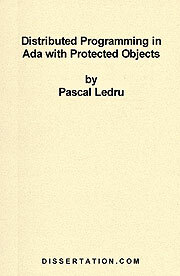 This approach is compared in detail with existing distributed programming languages, existing approaches to distributed Ada programs, and the Distributed Annex of the new revision of Ada language.